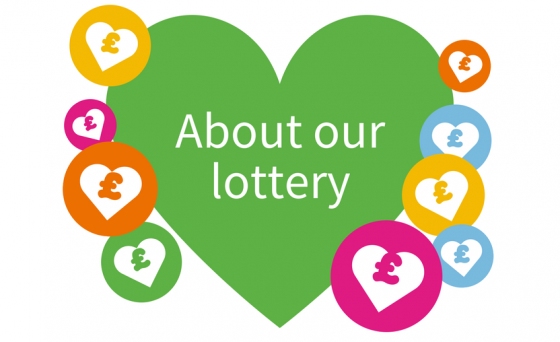 If you are 16 years of age or over and you live in Great Britain, you can join our lottery. Playing St Luke’s lottery is still only £1 and for each number you have you’ll have chance to win one of 39 cash prizes! We automatically post prizes to the winners home address, which means you will never need to claim a prize! We also publish the winning numbers on our results page. Our cash collectors also carry ‘Weekly Winners’ sheets for anyone who doesn’t have access to the internet. St Luke’s lottery draw takes place each Friday and is run by an independent Computer Bureau on our behalf. There is no need to claim as the winning cheques are sent straight out on the day of the draw. 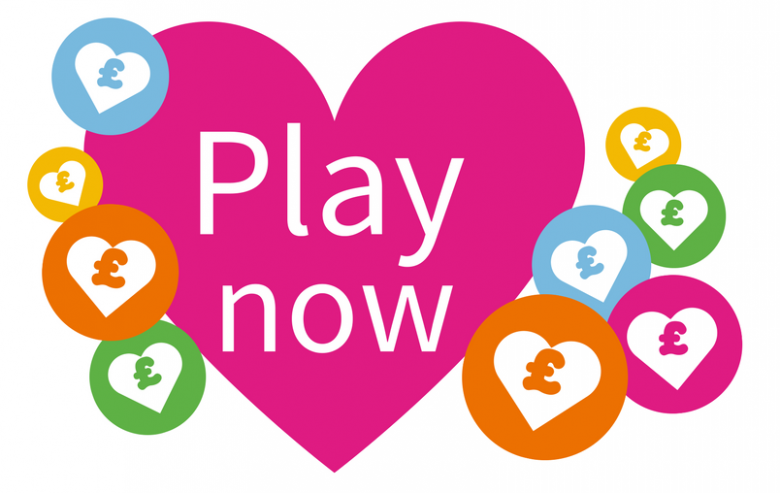 You can join St Luke’s lottery online and pay by direct debit, send a cheque payable to St Luke’s Promotions Ltd to the Hospice with your 3, 6 or 12 month entries or phone the Hospice on 01606 553553 and pay with your debit or credit card. St Luke’s Hospice Promotions Ltd is a member of the Hospice Lotteries Association. Both organisations are committed to using lotteries to fundraise responsibly and work together to encourage responsible gambling and access support if needed. The ‘Responsibility in Gambling Trust’, ‘GamCare’ and ‘Gamble Aware’ provides such support if required. If you want to self exclude yourself from our lottery, please download the form and return it to us. If you have any feedback or complaints, please email us or call 01606 553553. All profits generated from the Lottery go directly towards the Hospice service which helps and supports people with life limiting conditions and their families. New members will be sent notification of their unique personal Game Number. All subscriptions received at a minimum of £1 per week payable in advance will be entered into the weekly draw using the unique number. The limit set for the number of draw entries is 20 per week per person. The draw will normally take place each Friday, when the computer selects 39 game numbers at random from all the members who have paid that week. By cheque or postal order sent directly to the Hospice. We suggest payments of £13, £26 or £52. When paid direct to the Hospice a reminder letter is sent when £3 credit remains on the member’s account. By direct debit £4.34 monthly, £13 quarterly, £26 half yearly or £52 annually. By credit or debit card – in person, over the phone or by post as recorded on the reminder letter. Card details are destroyed once processed. Prize winners are notified and sent the relevant cheque by post within 1 week of the draw taking place. Weekly winning numbers are displayed in the Hospice Shops, on our website and on published winners’ sheets which are issued to cash collection members and others on request. The Hospice complies with the Data Protection Act requirements and will protect members’ data. It will be appreciated by members that St Luke’s Hospice Promotions Limited cannot accept liability for the loss or delays in or theft of any communication sent either by post, email or fax, or from any delays in the banking system. St Luke’s Promotions Ltd and St Luke’s Trading Ltd are subsidiary companies of St Luke’s (Cheshire) Hospice Ltd and are all registered under the Data Protection Act 1988. The Hospice does not pass personal data to any other organisations but may wish to keep our members informed of Hospice news and activities. This includes mailings from all three companies. If you wish to opt out please call 01606 553553 or email lottery@slhospice.co.uk. Members can cancel their membership at any time. Where members with a credit balance cancel, we can refund the full entitlement although members will normally let their funds be used up on future draws. We reserve the right not to accept an application, or to cancel an existing member’s subscription without giving reason and at our absolute discretion. It is the responsibility of the player to advise us of any corrections to or change of name, address or any other membership details deemed necessary. Any request to be ‘self excluded’ (terminology used in the Gambling Act – for clarification contact the Lottery Office) from St Luke’s Hospice Promotions Limited can either be telephoned through to the office, by e-mail, delivered in person, or be contained in a letter. Customers wishing to use this facility will not be able to rejoin for a minimum of 6 months thereafter. Click here to download a form. The Gambling Act 2005 confirms that St Luke’s Hospice Promotions Limited now has a statutory duty to verify that members are 16 years of age or over, the minimum age allowed for anyone to play in the lottery. It is an offence for anyone under the age of 16 years to participate in a lottery. St Luke’s Hospice Promotions Limited is a member of the Hospice Lotteries Association (HLA), which on behalf of its members makes a financial contribution towards the Responsibility in Gambling Trust (RIGT), an organisation set up with the sole aim of promoting and encouraging responsible gambling. The Hospice Lotteries Association website has a page dedicated to the RIGT and also GAMCARE the leading organisation that provides practical help to problem gamblers. Further support can be found on the Gamble Aware website. All complaints and disputes will be dealt with in accordance with our policy, a copy of which is available from the Lottery Office. In the event that a complaint or dispute can not be resolved then it will be referred to arbitration. As a member of the Hospice Lotteries Association this will be the “Independent Betting Adjudication Service” (IBAS). St Luke’s Hospice Promotions Limited reserves the right to amend or modify these terms and conditions without notice.